Ace Nigerian Urban Highlife mega hit-maker, Adekunle Gold, shows he is still very much in the business of making spectacular music as he comes through with a brand new vibe titled “Ire”. The Alternative singer who has made massive waves across the Nigerian music industry and beyond for his evergreen music has kept us entertained with songs such as “Orente”, “My Life” and “No Forget”. His latest release “Ire” comes hot on the heels of “Only Girl”, “Call on Me”, and “Money”, the previously released singles off his highly anticipated sophomore album, “About 30”. Before the Yoruba folk song “Ire” was released, the Unity Bank ambassador himself said the song would be “the soundtrack of your life”. Listening to the nostalgic tune now that it’s finally out, we see exactly what the singer meant. “Ire” is a symbolic song about the hustle, the struggle, the loss, the beginning of faith and the journey to being me. 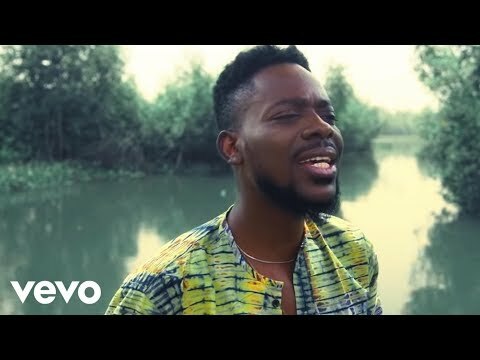 Produced by the gifted Seyikeyz, “Ire” (which means “goodness” in Yoruba) is unarguably one of the most moving, relatable songs we have ever heard from Adekunle Gold. Considering the masterpieces that the already released singles off “About 30” already are, we can only imagine how profound the body of work will be when it finally drops. Eager to get a taste of “Ire”? Simply stream or download the new tune right away and share your thoughts with us in the comments section below.